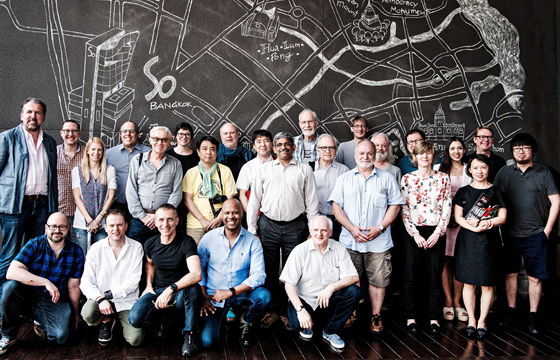 The General Assembly of the Technical Image Press Association gathered in Bangkok, Thailand from 14-17 March 2019 to vote on the annual TIPA World Awards for the best imaging products of 2019. Editors from professional, amateur, and business magazines and online publications from Asia, Australia, Europe and North and South America, with a delegate from the Camera Journal Press Club in Japan, discussed and then voted on TIPA World Award winners. The grand awards ceremony and presentation will take place in Tokyo on Monday, 20 May 2019. Along with exciting cameras and lenses that cover every category, from entry level to expert to professional, other categories included inkjet papers, imaging software, storage media, accessories, 360-degree cameras, and more. The Award Process Underlying the prestige of a TIPA World Award is the process by which winners are chosen. Beginning right after the main trade-show season and product debuts of late 2018 through to March 2019, nominations within categories are gathered by the TIPA Technical Committee. Equipment is tested and evaluated, and new categories, representing emerging imaging trends, are considered. A list of finalists is compiled and sent to editors of the TIPA member publications from around the world, who then comment and make further suggestions about products that should be added to specific categories. The information is collated and evaluated and a list of finalists is chosen. Winners are then voted upon and chosen at a General Assembly of all member magazines. In short, the TIPA World Award process is one that draws upon a global panel of knowledgeable experts who are exposed to a wide range of products. Through their publication’s reach and editorial content they serve a readership that has come to count on them for an honest and trustworthy appraisal of photo and imaging products. The Award Range Award honourees included long-time industry companies as well as new entrants and those who represent emerging trends in the photo/imaging industry. The changing trends in the industry were reflected strongly in the camera awards, with mirrorless interchangeable cameras, in both full frame and APS-C formats, garnering every camera award but one, including those from Canon, Fujifilm, Nikon, Olympus, Panasonic and Sony. Lenses continue to play an important role in the industry and the members recognised this with numerous awards for super-wide, telephoto, and zoom categories from companies such as Canon, Nikon, Samyang, SIGMA, Sony, Tamron, and Tokina. Rounding out the awards were those for bridge and expert compact cameras, a medium format camera from Fujifilm, a revolutionary smartphone camera from Huawei, plus awards for imaging processing software, accessories like bags and tripods, and a design award to ZEISS for their ZX1. In all, the TIPA World Award winners recognise the wide range of products and services that make up the imaging industry today, and represent a vital snapshot of its vitality and innovative character as it moves into the future.